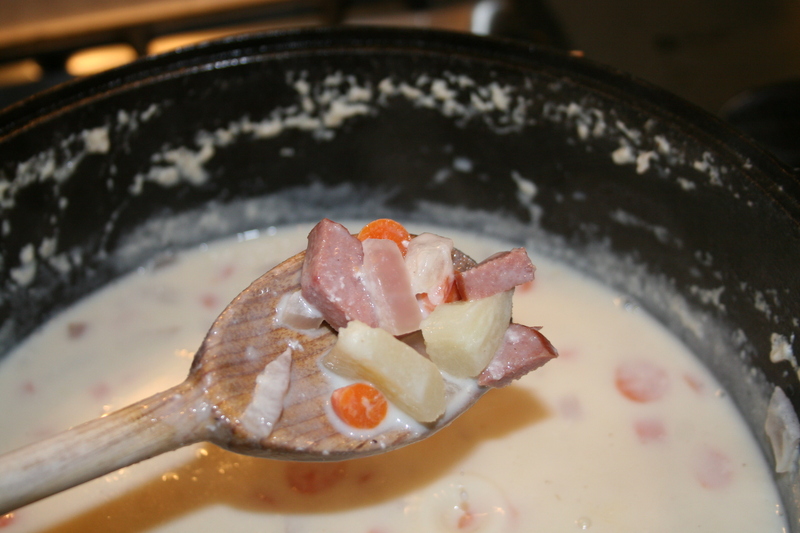 As a child, I loved my mother’s cream of potato soup. Whenever I was sick, that’s what I wanted to make me feel better, along with a hot cup of tea with cream and sugar. As a child, I didn’t realize how bland my mother’s soup tasted as it was very basic…milk, butter, onions, potatoes and a little seasoning. As I grew up and began to expand my palate, I decided to experiment with her very basic soup and make it my own. 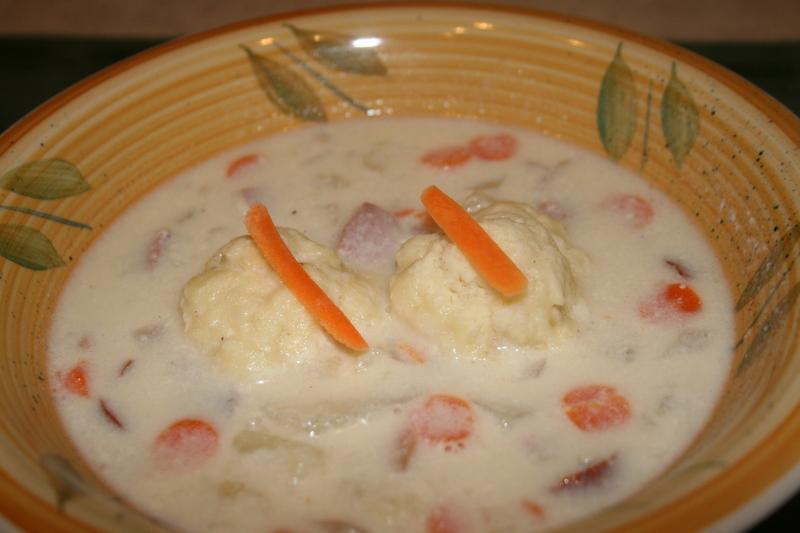 Today’s rendition is packed with flavor and lots of goodies like carrots, red onion, turkey sausage, and dumplings. No matter how much I change what I put in her soup, I still keep the basic foundation. And every time I make it, I always remember my childhood cravings and how good my mom’s soup continues to make me feel. 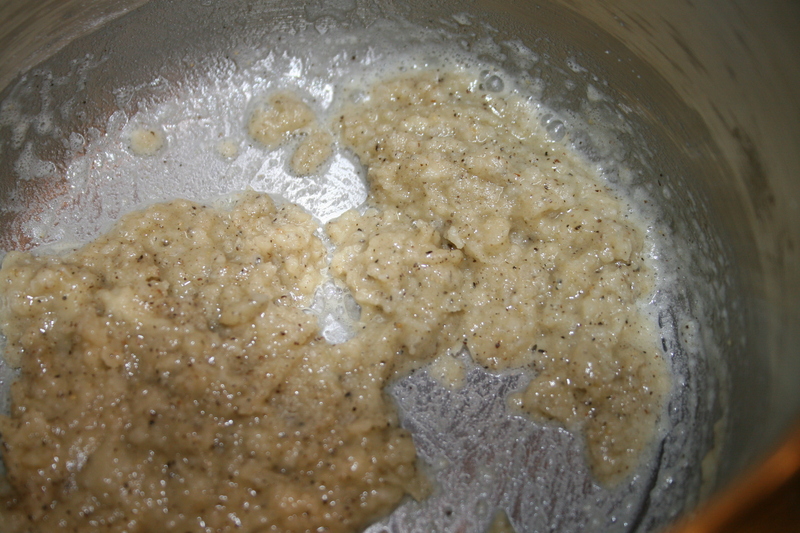 First, make the roux, which is a thickening agent of equal parts fat and flour. In a small saucepan, melt 2 Tbsps. of butter. 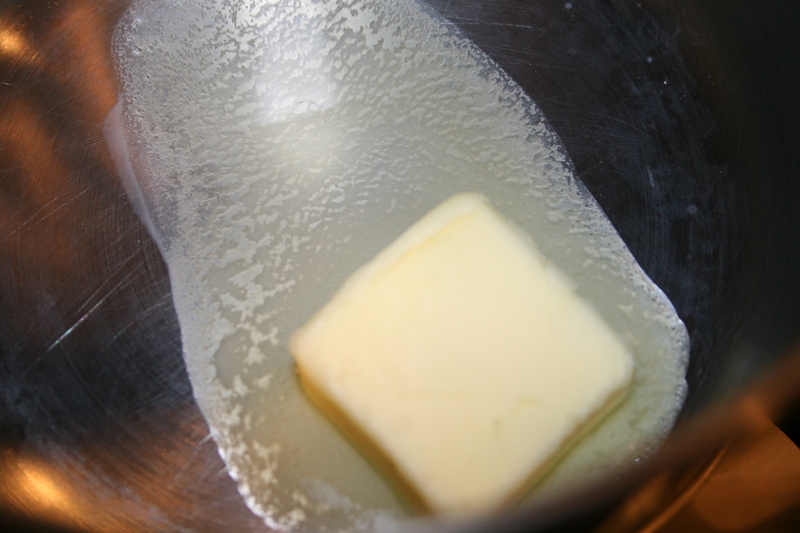 To the melted butter, add 2 Tbsps of flour, the salt and pepper. 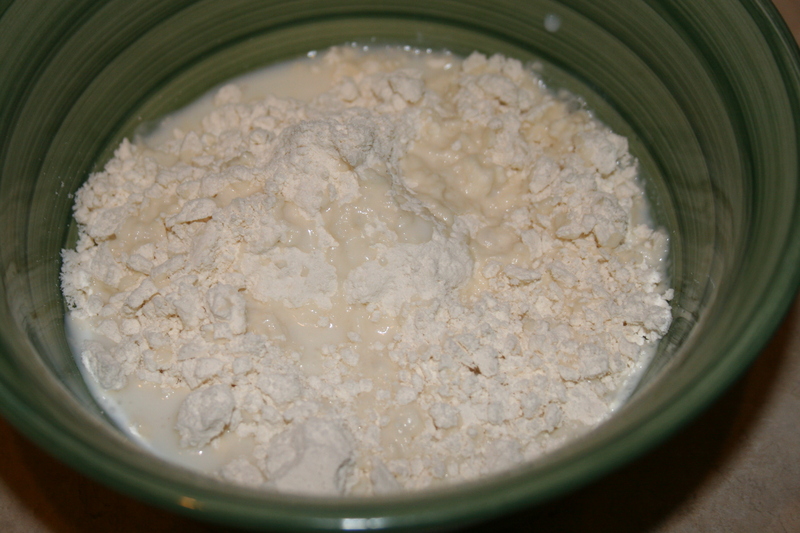 Combine to get a thick, bubbly, gooey mixture. 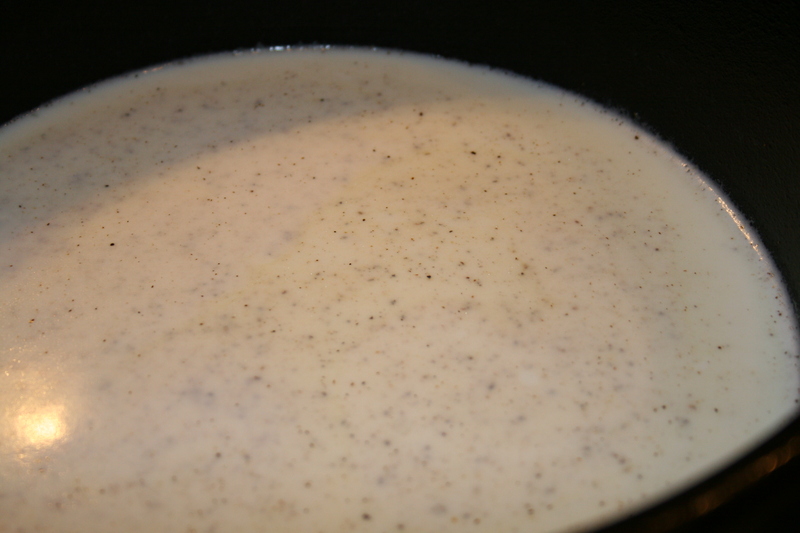 Add 1/2 cup of milk to the roux and stir continuously over low heat until completely combined. In a Dutch oven, add 2 cups of milk, 1 cup of chicken broth, and the roux mixture. 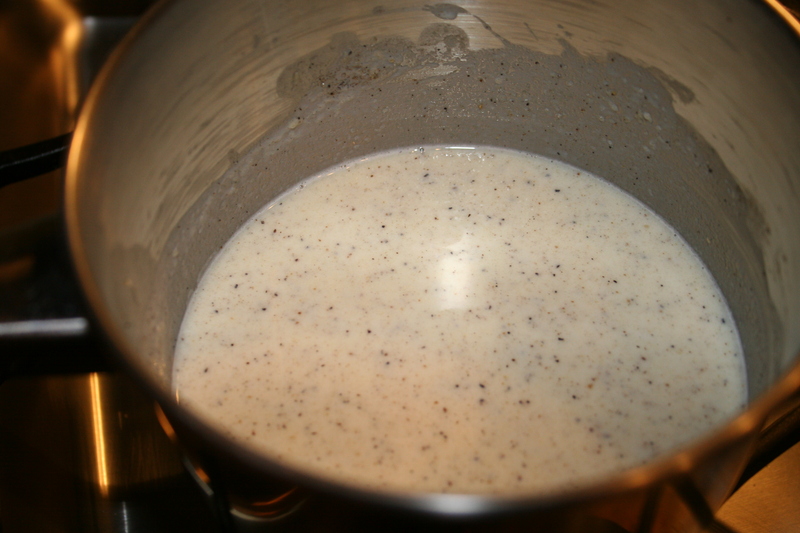 Bring to a boil over medium high heat, but be careful not to scorch the milk. 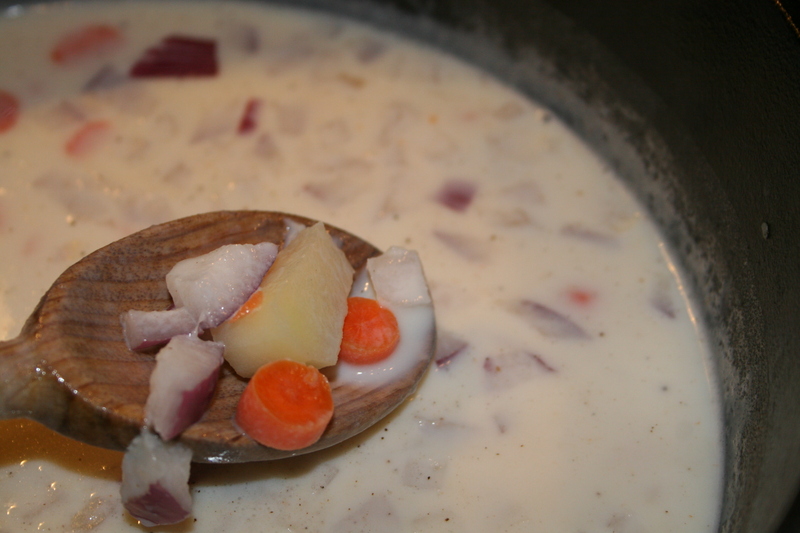 Once the milky mixture is boiling, add the potatoes, carrots and red onion. 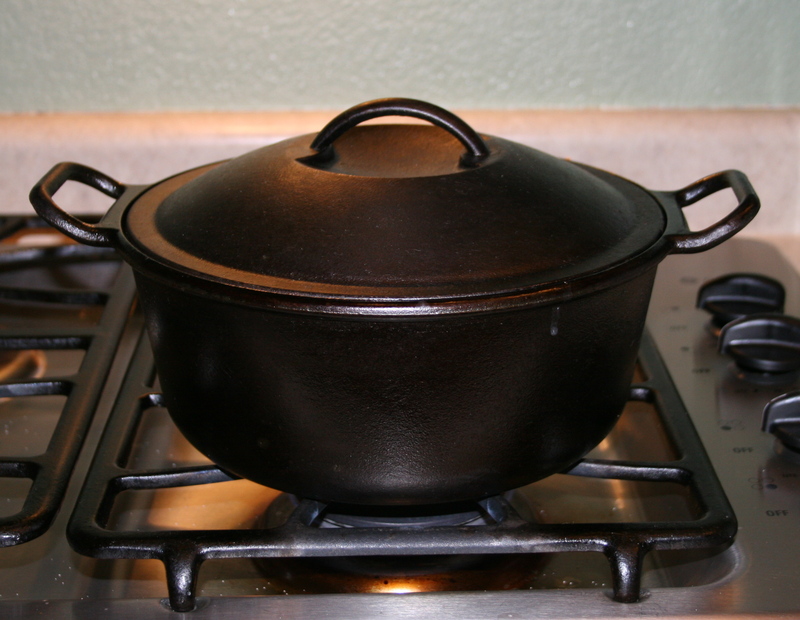 Cover the Dutch oven and let the soup simmer over medium heat for about 15 minutes until potatoes are cooked through. 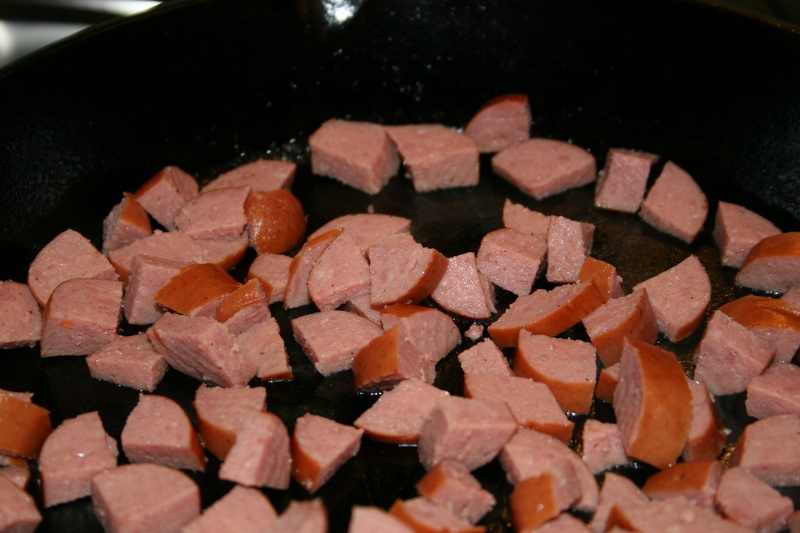 While the potatoes are cooking, saute the turkey sausage in a cast iron skillet until they are slightly brown and heated through. 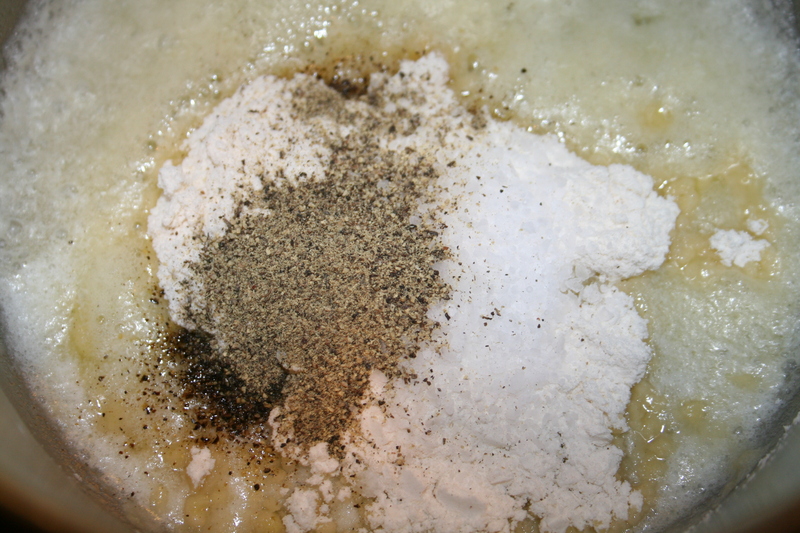 You also have time to make the dumpling dough by mixing 2/3 cups of Bisquick mix with 3 Tbsps. of milk until a soft dough forms (forgot to take a picture of the dough). 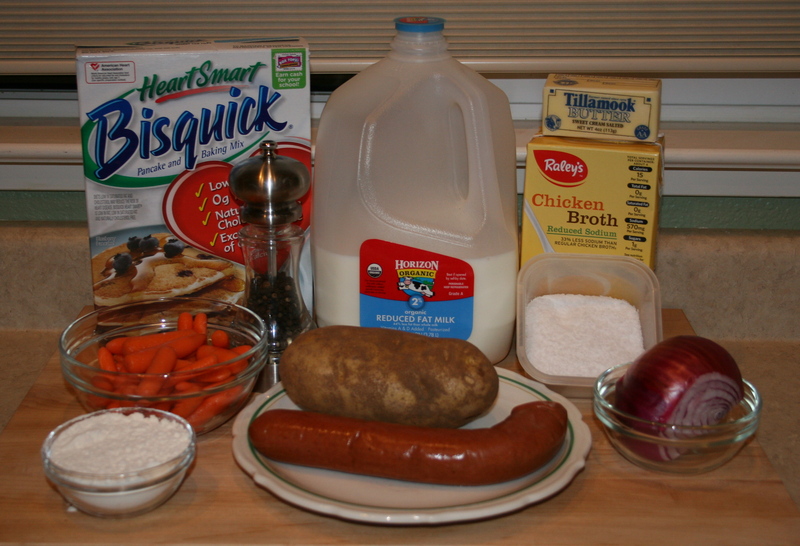 Once the potatoes are cooked, add the turkey sausage to the soup. 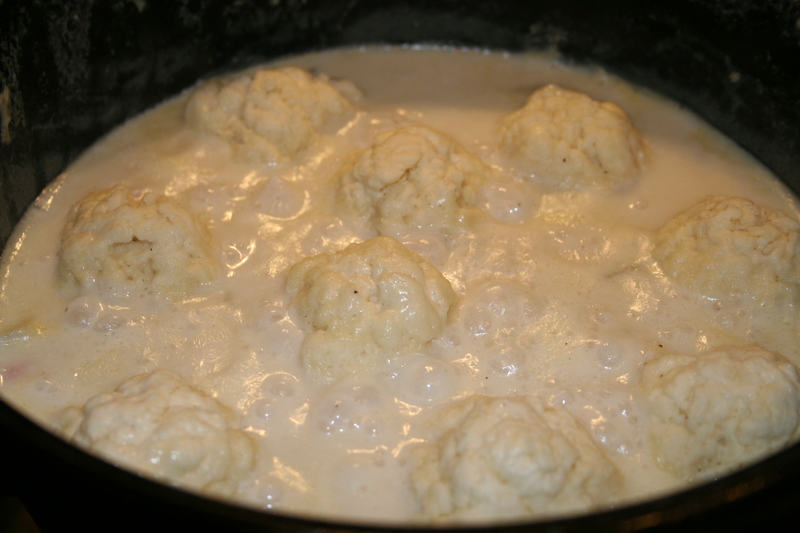 Form teaspoon-sized dumplings and drop them into the soup. Cook uncovered for 10 minutes, then cover and cook for another 10 minutes. Serve hot with a couple of plump dumplings. Invite your mom or daughter to join you…or the whole family for that matter. Enjoy!